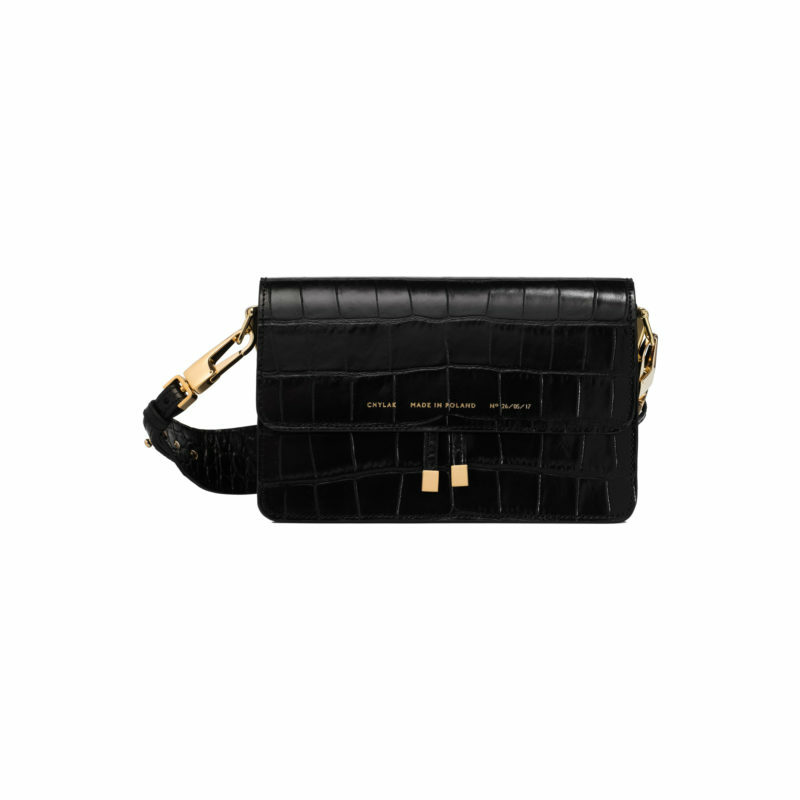 Version with an additional detachable long strap. 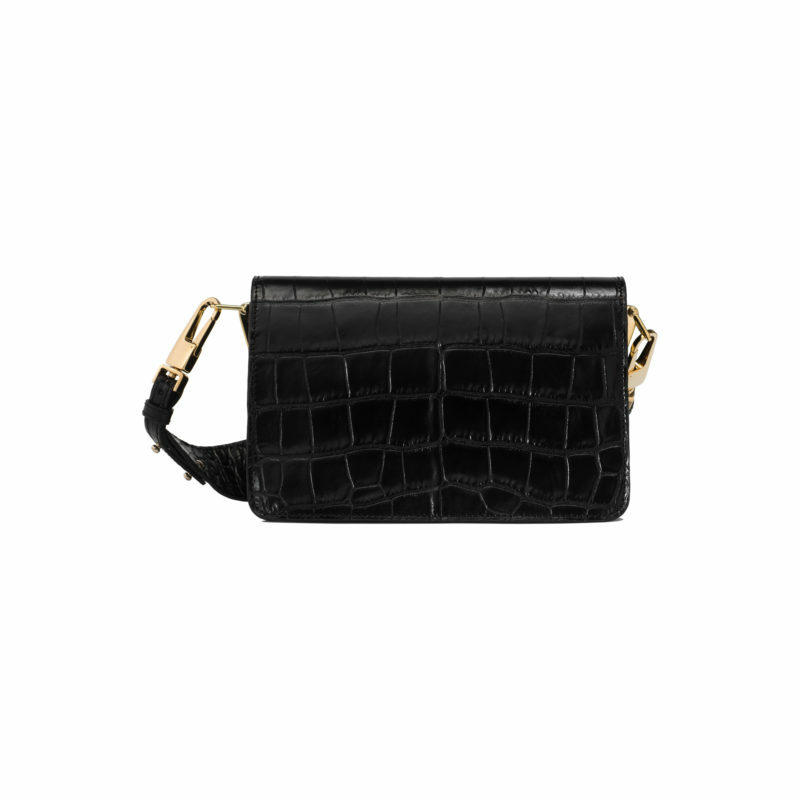 Shoulder bag made of glossy black crocodile-embossed leather. Magnet-fastening front flap. 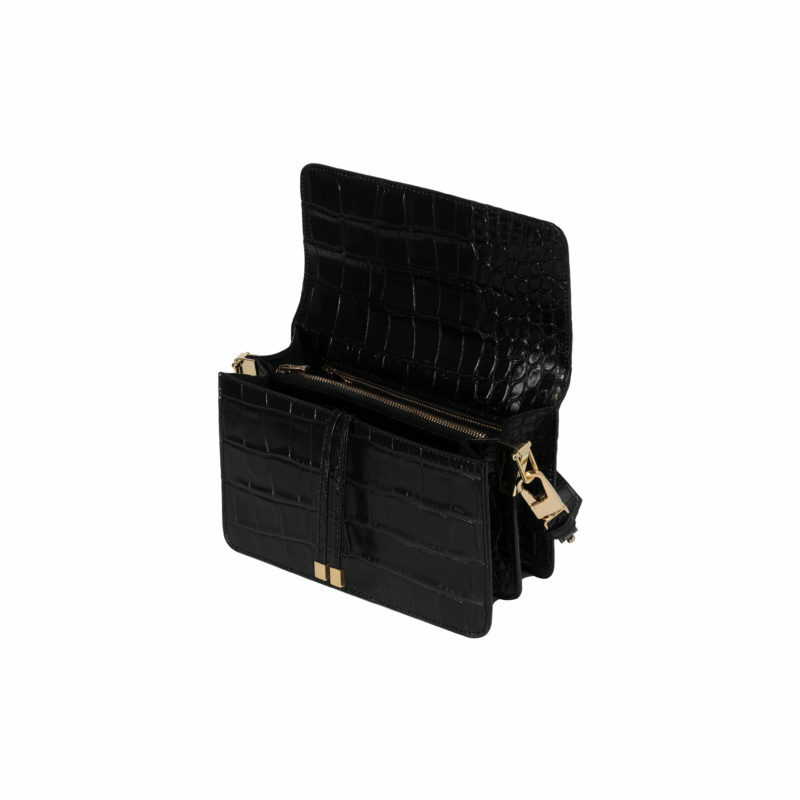 Two internal compartments with two pockets, closed with golden zipper. Interior finished with black cotton lining. 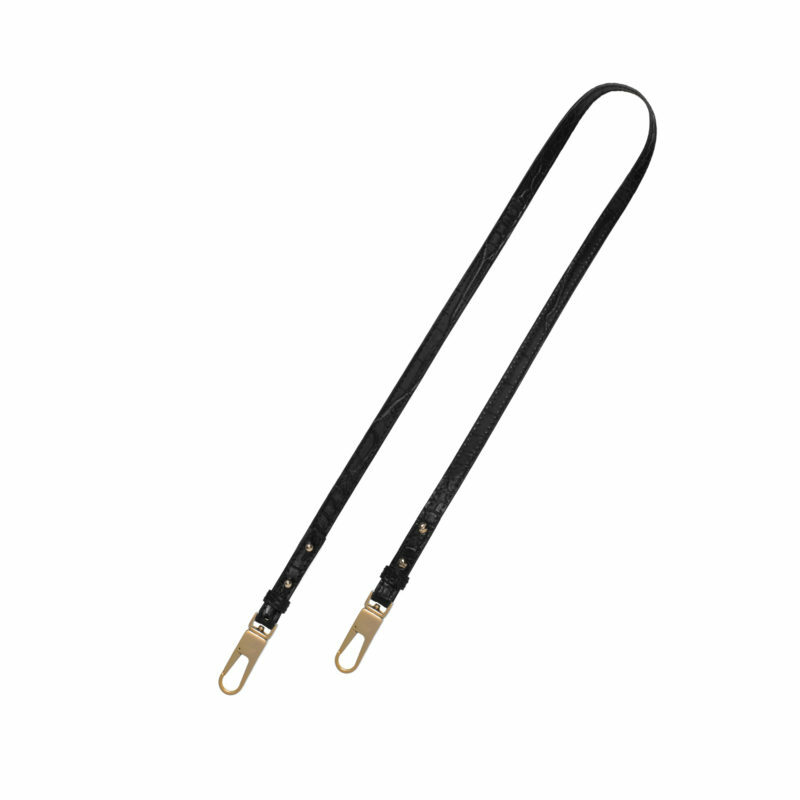 Two straps: wide shoulder strap and long strap (both detachable and adjustable). Series number hand-stamped in the front in gold.